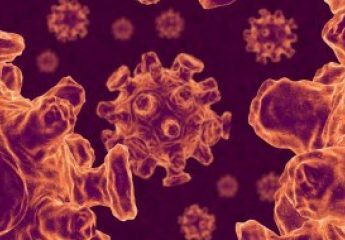 A 26-year-old from the Cape and islands with no history of underlying medical problems has died from swine flu, the 11th death in Massachusetts attributed to the novel virus, state public health authorities announced this morning. Perhaps more important, in every country where the virus has spread, it has continued to affect children and young adults much more commonly than typical flu viruses. “In a pandemic where a greater fraction of illness and deaths occur in kids and young adults, that will be clearly noticeable to the public. There will be a sense that this is a greater severity of illness even if fewer people die overall,” the CDC’s Bresee said. Most of those who have developed serious illness and died have had other health problems. But those include many common conditions, such as diabetes, asthma and obesity. Pregnant women appear to be especially at risk. And the virus can cause severe illness and death in otherwise healthy people in perhaps a third of cases. In the Southern Hemisphere, the virus has been more intense in some places, including those with few resources. Countries with fragile health care like India and South Africa could be quickly overwhelmed if the swine flu starts infected a large number of people. I guess we will have to wait and see. Preferably with suspenseful music in the background. It was reported today that 3 more Massachusetts residents died as a result of the swine flu; a 53 year old, a 20 year old and a 21 year old. The Boston Globe has said they all had “serious underlying health conditions,” but the deaths of such young adults have me alarmed. “The virus has proven especially dangerous to people already coping with respiratory ailments such as asthma, heart disease, diabetes, and conditions that impair the body’s ability to fight invading germs. And as the deaths of the 20- and 21-year-olds demonstrate, the germ known by the scientific name H1N1 has also proven to be a particular threat to young adults, as well as children. An 11 year old girl in Brooklyn, New York has died from the H1N1/Swine Flu virus. Councilman Peter F. Vallone Jr. of Queens said the public should be told if those who die after contracting the virus have pre-existing illnesses. Health officials have said that virtually all of those who have died had a condition that made them more susceptible to the flu. But the officials have not specified those conditions, and the list of high-risk factors is so long — including heart disease, obesity and being older than 65 — that as many as one in three New Yorkers may have at least one.